At SnoreLab, we regard SnoreRx as one of the best quality and most effective anti-snoring mouthpieces that you can buy online. Quality materials – the high-quality medical-grade plastics give a longer lifespan and greater comfort. Custom fit – SnoreRx uses a thermal matrix system so you can create a personalised impression of your teeth, superior to many other boil-and-bite alternatives. Adjustment – with the easy adjustment mechanism you can choose the degree of lower jaw advancement with one-millimeter changes. Now, you can use the code SNORELAB to get 10% off your purchase of SnoreRx. SnoreRx has taken the standard anti-snoring mouthpiece and given it a facelift to create a professional, adjustable and custom-fitting product that gives greater comfort and sees a 90% satisfaction rate amongst its thousands of users. This was a genuine, unsolicited user testimonial for SnoreRx. 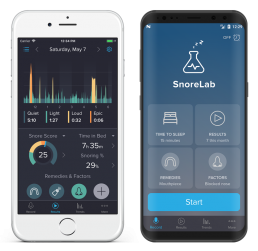 At SnoreLab, we were thrilled to hear that our app combined with this remarkable anti-snoring device had produced life changing results. SnoreRx is a mandibular advancement device (MAD). These are dental devices you wear at night that fit over your teeth much like a sports gumshield. Your mandible (lower jaw) brings on snoring if it sits too far back. Here, your tongue and associated tissues slacken and impinge on your upper airway. People with a pronounced overbite – where lower jaw sits far back in relation to the upper jaw – are at a greater risk of snoring. MADs are designed to tighten and create more space in your upper airway. They coax your lower jaw forward, bringing your tongue and other tissues in the mouth forward to prevent airway obstruction. SnoreRx allows you far greater control than other mouthpieces. You can create a custom impression of your teeth so the device sits snugly, adjust the amount of advancement to your preferred settings, and breathe comfortably using the small gap between the upper and lower trays. To mold SnoreRx, put the mouthpiece in a cup of water and microwave it for one minute. The hot water softens the thermal matrix insert pads which you then bite down into, creating a customized indent of your teeth to fit your mouth perfectly. Throughout the night, the upper and lower trays stay fixed in position to bring your lower jaw forward. The prominence is adjustable, allowing you to move the trays apart in one-millimeter increments to find the best setting for you. Simply squeeze the sides of the top tray to slide it backwards or forwards. We recommend starting with a low degree of advancement to ease yourself into using the device. Bringing your jaw too far forward too soon can cause discomfort. If after a few nights, you feel comfortable but aren’t noticing any differences to your snoring, simply bring the lower section forward by one millimeter. Once in, you don’t need to worry if you often revert to mouth breathing when you sleep. The air gap between the upper and lower trays allows you to breathe comfortably and naturally. There are four stand-out features that put SnoreRx head and shoulders above many other anti-snoring mouthpieces on the market, giving it a more nuanced and comfortable fit with greater benefits. SnoreRx uses premium, medical-grade plastics for both the trays and the insert pads. Using high quality materials gives SnoreRx a longer lifespan than other devices (generally lasting 11-15 months). Good materials also feel better. Something which is vital for a device that could be spending over 3000 hours in your mouth! Using quality, professional, medical-grade materials means that SnoreRx is hypoallergenic and safe. It has no metal parts that could be abrasive and is composed of large pieces of material so there are no small parts that could be swallowed whilst you sleep. Crucially, SnoreRx is also BPA-free (bisphenol-A, a well-known environmental and health hazard). Unlike some other mouthpieces, SnoreRx has a reassuringly large gap between the upper and lower trays. This allows you to comfortably breathe through your mouth at night. Everybody is different, so one-size-fits-all mouth pieces can be more like one-size-fits-nobody. Cheaper, non-custom mouthpieces can still be effective in reducing snoring, but like any snoring remedy, they are only effective if they are being used. If a mouthpiece doesn’t fit, people tend to stop using them. SnoreRx has a thermal matrix design which yields a better custom impression than other boil-and-bite devices. You can mold the padding to the exact shape of your teeth so it sits perfectly, giving the best possible comfort and results. 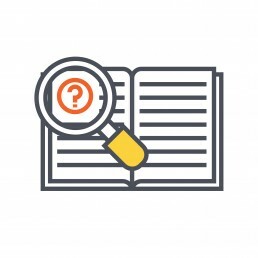 Contrary to some other boil-and-bite devices, with SnoreRx, if you get it wrong at first, you have three attempts to get it right. Simply repeat the first steps until you have the fit just right. Mandibular advancement can take some getting used to, and the best way ensure you stick with it is to ease yourself in gently. SnoreRx makes this possible by allowing precise adjustment of the lower tray. The degree of advancement can be reset at any time and is done very easily and securely, staying locked in place until you choose to reset it. By squeezing the edges of the top tray, you can slide the trays backward and forward in one-millimeter increments. These increments are clearly marked meaning you can keep track of your progress without any guesswork. Snoring is a personal problem, and SnoreRx is a personal solution. This device gives an alternative to the one-size-fits-all basis of many other anti-snoring devices to provide enhanced comfort and function. The ability to make precise and secure adjustments, a custom-moldable fit and high quality medical-grade materials make SnoreRx the best quality over-the-counter anti-snoring mouthpiece available. If you’re a tongue-based snorer, you’d be MAD not to give it a go! Use the code SNORELAB for 10% off your purchase of SnoreRx.